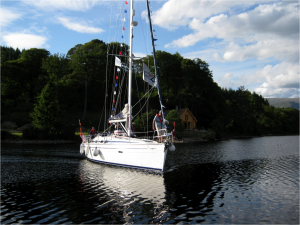 We operate a modern fleet with our yacht ‘able2sail’ and our motor yacht ‘Jenny Rose’. ‘able2sail’ benefits from the addition of a hoist and Aquaback seats which allow is to accommodate a range of disabilities aboard. Both our boats are equipped with a full range of safety devices. 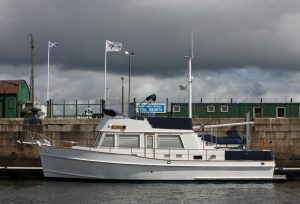 Generously donated to the charity in 2013, Jenny Rose (a Grand Banks 42) is the newest addition to the able2sail fleet. Taking her place alongside “able2sail” she offers an exciting new range of opportunities for clients aboard a modern luxury motor yacht. In 2018 able2sail purchased three RS Quests which are based at Castle Semple Country Park, Clyde Muirshiel. These dinghies are currently by used by our Special Olympics GB athletes to hone their racing skills ahead of the World Games in Abu Dhabi (March 2019).